On September 24 we hosted an Instagram Chat on Twitter where we brought to life our famous Bymark burger in a photo editorial. Watch Chef Brooke McDougall’s creation below. Nothing quite says let’s give summer one last big hug before we jump into the autumn season than this colourful food basket. Cooler days seem warmer with a pantry stocked with sweets, teas, rubs, nuts, chocolate and oils. Contact McEwan to order your basket today. Custom baskets are available upon request. 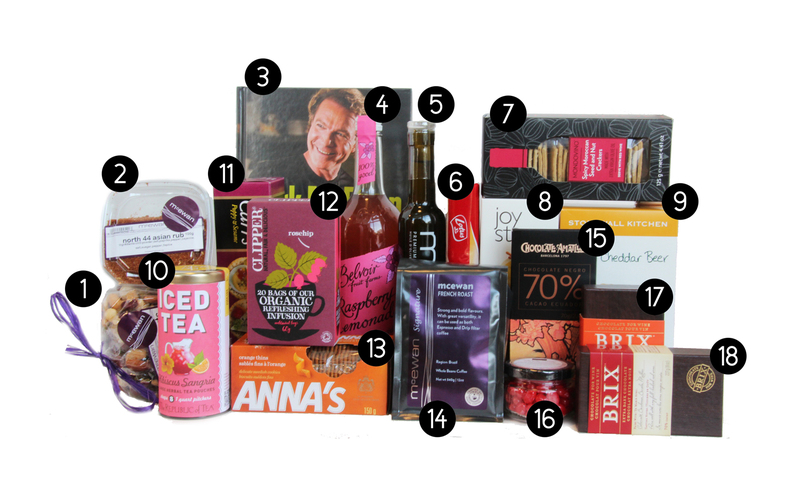 Item are are also available individually and can be purchased from our gourmet grocery store, McEwan. Add a beautiful flower arrangement from McEwan Floral. As seasons change, so do menus, especially when you source local produce like we do. For fall 2013, we’ve added 18 fresh items to our already-acclaimed dinner line-up. It’s not an easy process because when one’s added, often times another has to be ‘retired’. “It’s a lot like a break-up” says Chef de Cuisine Rob LeClair. “But you somehow find the strength to carry on and before you know it you’re in love with another dish”. Each of the seven sections on the dinner menu (apps, salads, pizza, pasta, seafood, meat and sides) feature at least one new recipe; with the seafood selection being almost completely revamped. 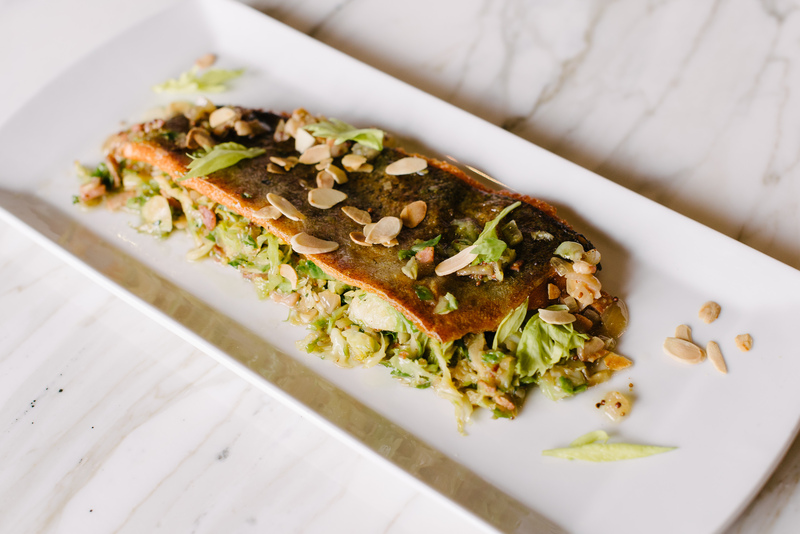 It’s highlighted by a trout dish we’re extremely proud of. The fish comes from the Goossens Trout Farm in Otterville, Ontario, an Oceanwise™ registered aquaculture producer whose sustainable practices we’ve admired for some time. As for the meal itself, it’s healthy and so tasty! 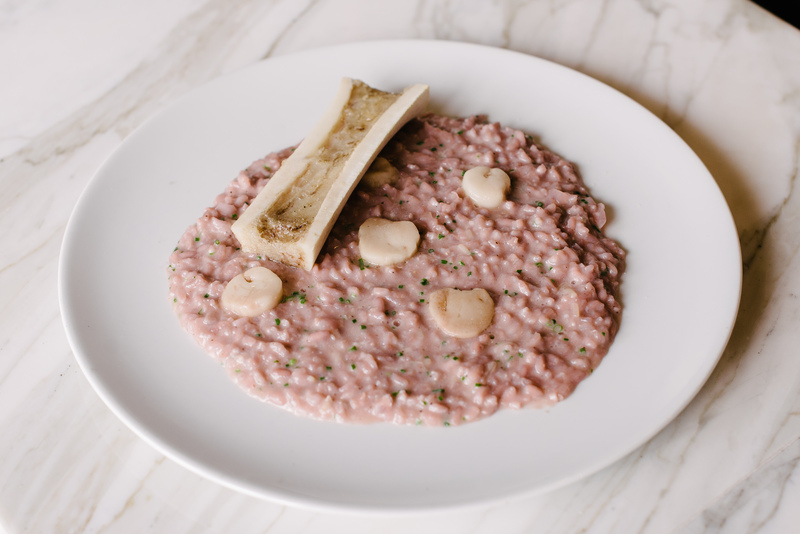 Another one of our favourites is the new bone marrow risotto. Unlike other risottos that are served in a bowl, this traditional dish is plated to keep the texture and tastes consistent as you enjoy it. 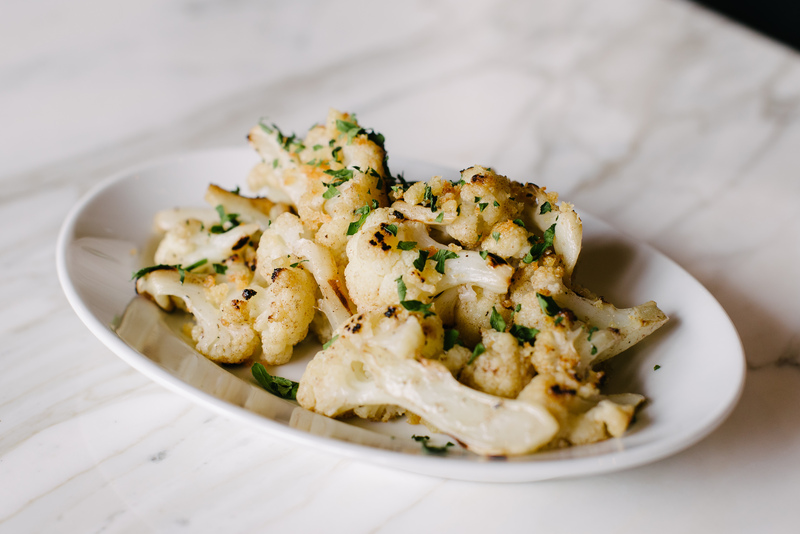 Whichever of the new dinner dishes you order, be sure to add a side of the new wood oven roasted cauliflower. “Cauliflower was once considered the red-headed step-child of the garden” laughs LeClair, “but low-carb dieters are turning to it as a stand-in for mashed potatoes”. And with Ontario cauliflower at its peak for the next while, now’s the perfect time to give it a go. Here’s a peak from the kitchen where it all starts to the testing and sampling sessions with the front of house. We even have a Fabbricabulary for our staff. Book your dinner reservation at Fabbrica and check out our new selections. Even if you’ve been here before, it’d be like coming back for the first time. Today we’re talking to Matt Basile, otherwise known as Fidel Gastro. All he’s done since leaving the McEwan family is kickstart the Cuban food revolution with a wildly popular food truck; star in his own reality show; and hire Chef Kris Topping away from Fabbrica to open a new restaurant. As we suspected, the food at Lisa Marie is too good to hold a grudge. I love that I get to create something different every day. I’m not a trained chef so when I come up with something that makes chefs say, “how did you think of that” I get pumped up. The worst part is every little thing you touch has a dollar value . 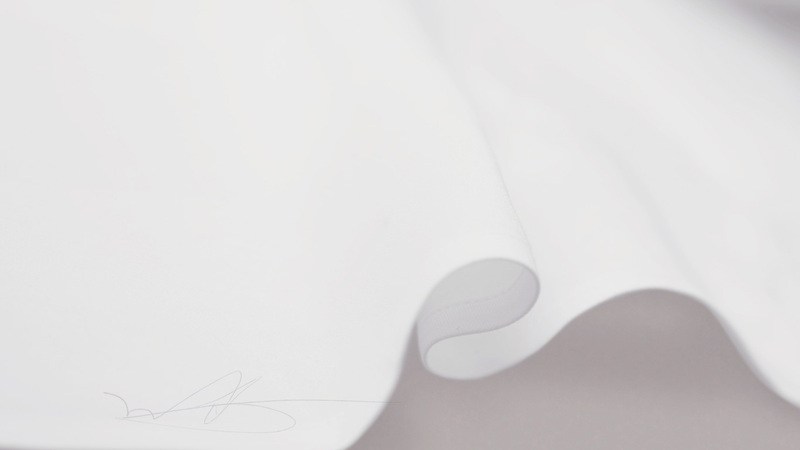 The napkin the ice the fork. In the end you always get a bill for something. I test a lot if my recipes online via Twitter and Instagram. If something gets a lot of chatter I’ll at least try it out as a special. It’s very similar to how I was raised to appreciate food. Food always brought people together in the best kind of ways. The same goes for foodie culture now. If you’re good, people will come back and bring friends. Mark was the first time I had ever been in awe of someone. The dude has a massive staff and everyone works their asses off for him because They respect him. It was the first time I had ever seen a food brand. It made think about food in very different ways. It helped me realize that I had to find a way to mesh my advertising brain with my food heart. 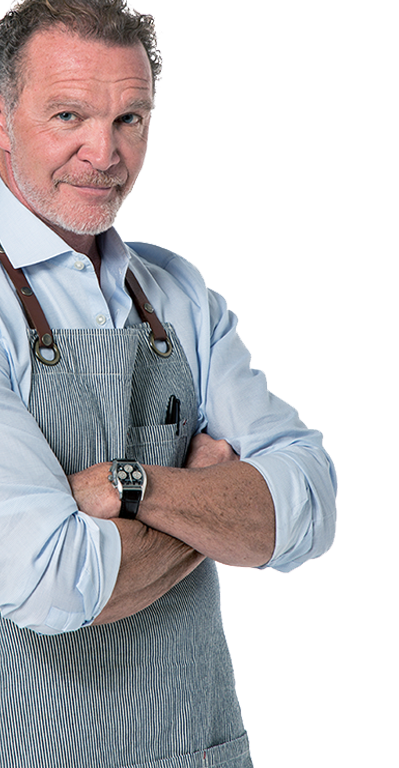 You mentioned in this BlogTO article that Mark McEwan is a chef who inspires you. Why’s that? Because I think he’s set an incredible precedent for chefs also being good business people. I think making good food is one thing. Making a successful business out if it is entirely different. Mark is that standard. I respect that.